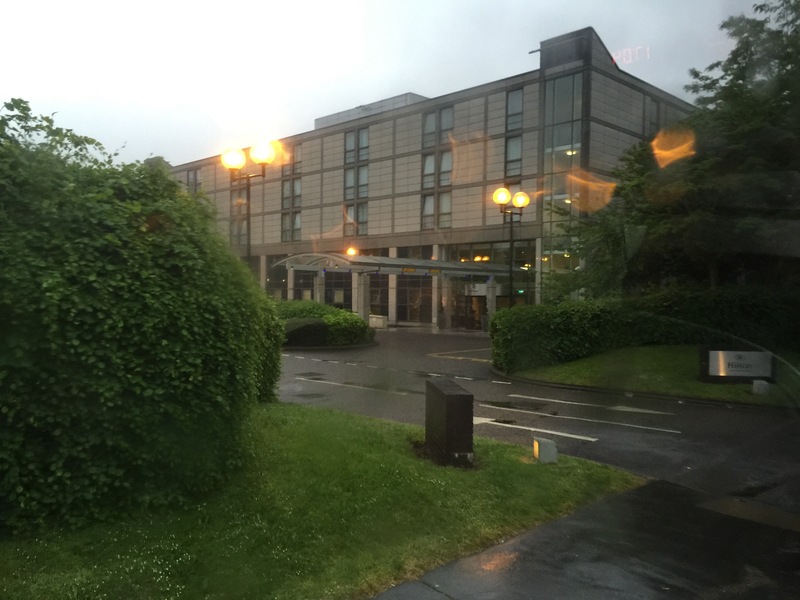 This morning, we left our pleasant suburban Hilton Croydon hotel, armed with our luggage, passports, and a bagged breakfast. Simon, our group’s guide, called it a “boxed” breakfast which I found to be ironic coming from someone who has told us again and again how “proper” the British are with their speech. He even corrected us in our pronunciation of the word France. “It is “Frahnce”, not France” (which rhymes with ants.) in any case, the breakfast was served in a most definite brown paper bag. 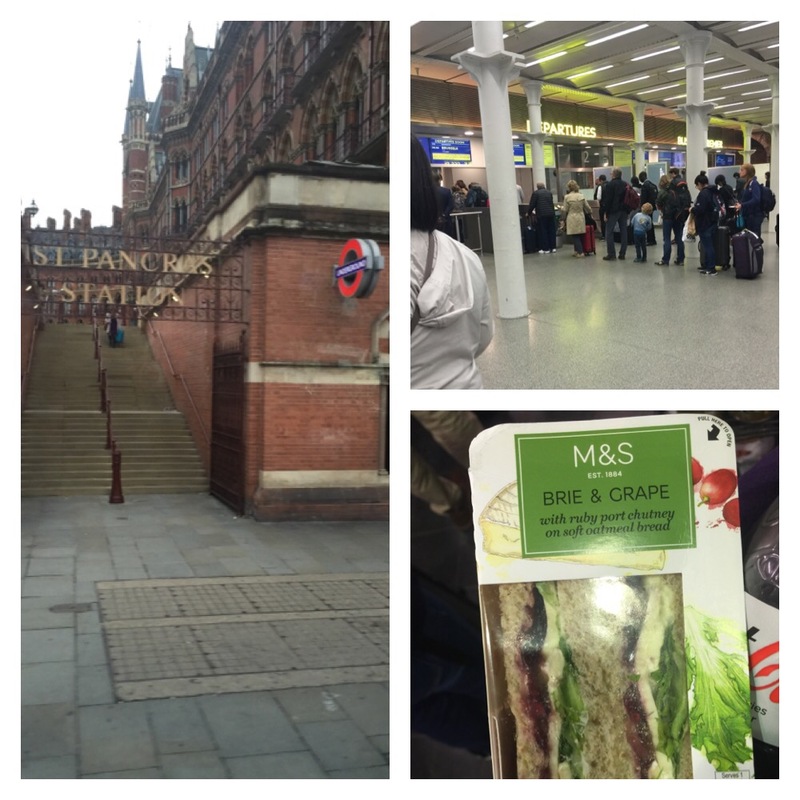 We arrived at the St Pancras station with plenty of time to spare. The train station was a bustling place, loaded with shops and eateries. We were given time to buy a lunch to eat lunch on train. I found a primo “M & S” shop loaded with mouthwatering options. I ended up with some nuts and berries, and a brow and grape sandwich. Speaking of sandwich… One of the travelers on the tour, a JJ from Wyoming, asked whether or not a hot dog constitutes a sandwich. I want to mull that over a bit more before I respond, but I believe I lean towards no. 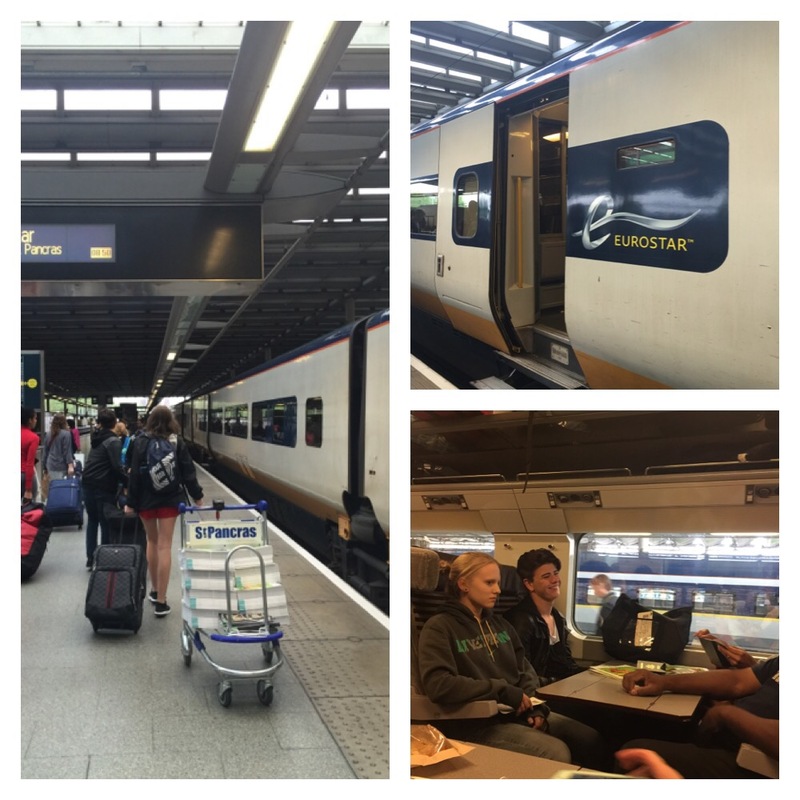 We next made our way through immigration, got our passports stamped, and boarded the Eurostar. This train is allegedly the 2nd fastest train in the world, and it took us from London to Paris, under the English Channel, in under three hours. The precarious thing about train transportation is that you have to have all your belongings with you- suitcases and all. Handling all these bags in tight quarters can be pretty tricky. I actually had to schlepp my suitcase back a train car to find it a home for the ride. 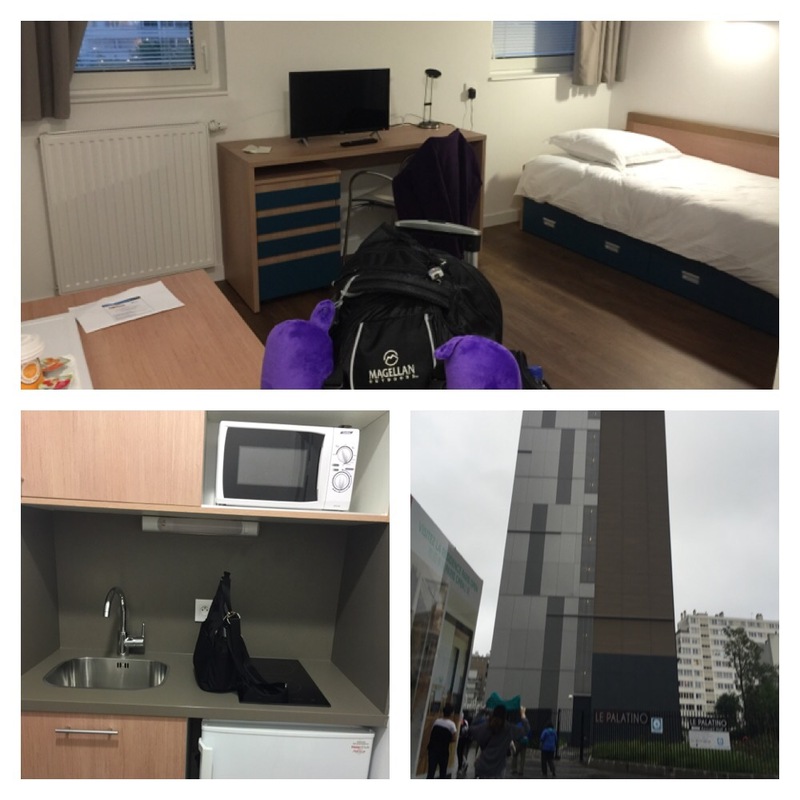 Upon arrival in Paris, we loaded into our coach bus and headed on to our hotel- the Palatino- one block from the Porte de Choicy train station. The hotel is clean bordering on sterile, fully loaded with apartment style features, and seems to have a friendly staff. 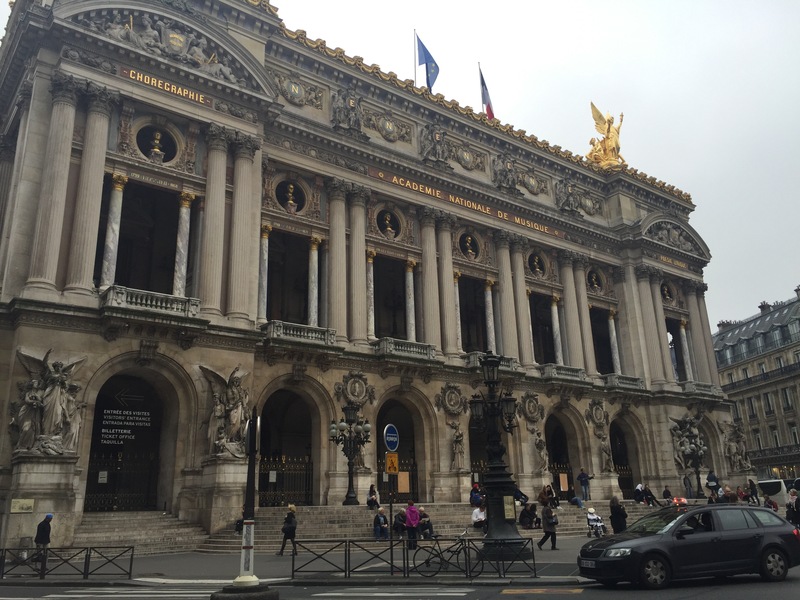 We dropped our bags and hit the train to the Paris Opera. We spent some free time wandering the area. I stopped to buy my first crepe of the trip. The opera was beautiful and we enjoyed live street entertainment. Sadly and very unfortunately, one student in the group was targeted by a loose- bowelled pigeon. 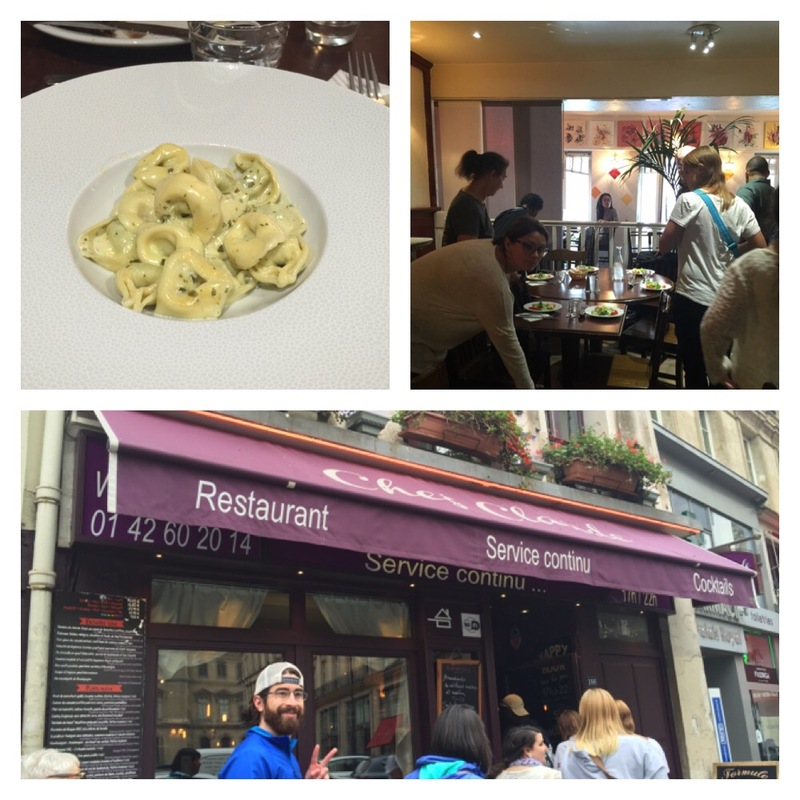 We dined at a place called Chez Claude. I had spinach tortellini and a slice of chocolate pie fit for the palate of a king. The servers spoke only broken English, so I got to converse with “Marie” in my “needs practice” Francais. After dinner we set out on foot to Montparnasse, the lone sky scraper in Paris. This was a plan B after our original plan was to take a boat ride down the river. Unfortunately, major river Seine flooding prevented this plan. 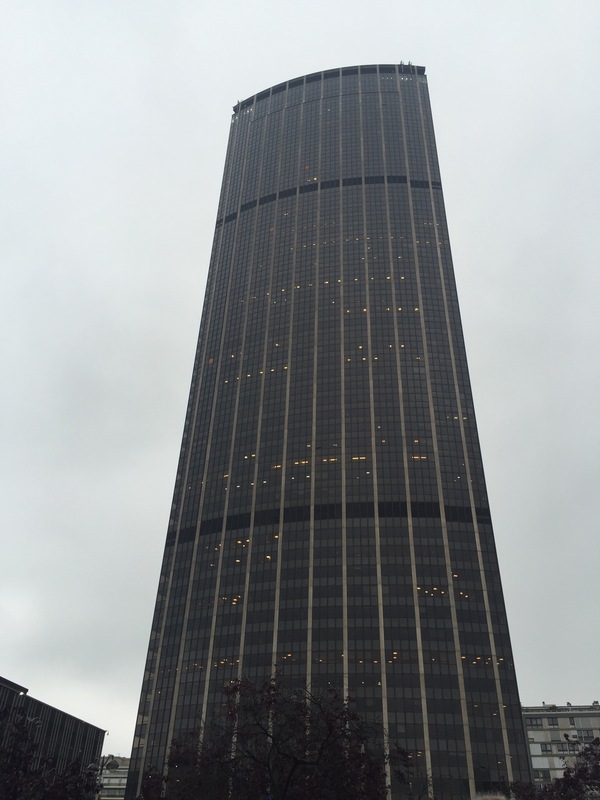 The 56 story building boasts the fastest lift: in 38 seconds riders make it to the top! The view from the top was spectacular, albeit foggy.